There can be no disputing the fact that as each day passes, more planes are delivered with all-glass panels, while at little fields across the land, old, tired birds with steam gauges are being retired. This transition to glass panels creates what the acronym police call TAA, for technologically advanced aircraft, and AOPA's Air Safety Foundation (ASF) looked at the safety record of these glass wonderbirds. "TAA are neither as good as proponents say nor as bad as detractors contend. These aircraft provide situational awareness tools that have dramatically improved aspects of GA safety. But those tools are not enough to overcome a pilot's faulty decision making or a lack of experience in how those aircraft are operated." [Landsberg] said that industry excitement over TAA has reinvigorated GA aircraft sales and attracted more people to learning to fly. The new study finds that some TAA capabilities such as a moving maps, fuel management systems, and widescreen attitude indicator displays have helped to substantially reduce fuel management and maneuvering flight accidents as compared to aircraft equipped with traditional "steam gauge" instrumentation. In the end, these discussions are not so much about airplanes but about the people who operate them. 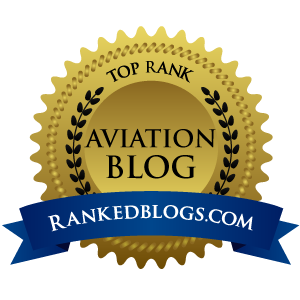 Although the on-board technology and performance of TAA is rapidly evolving and despite the fact that the pilot-training industry is making a strong attempt to better integrate pilots with their aircraft, pilots, for the most part, have not changed. As I stand on the threshold of my next aircraft purchase later this year, I find myself thinking about avionics a lot these days. I'm also studying for my Instrument written test, and have just completed Peter Dogan's great “Instrument Flight Training Manual”, so panel pondering is top of the mind to me now. I find myself wishing I could get into an all-glass environment, but I know that day will come when I buy a future [expensive] plane, not this next one. But the desire to learn glass is there for me, which is the main ingredient to make flying TAA machines as safe as traditional steamers. I suspect that many TAA accidents are caused by the same guys/gals – many are senior Boomers – who are determined to learn their GPS, someday, but as of yet can't get past "direct to" and wait until the run-up area to program that into the box. Time is TAA's best friend right now. In the next few years, the trend towards glass panels will continue to spread, and I can easily envision a day when you won't be able to buy a new plane with steam gauges as primary flight instruments. Sure, they will always be there as a backup, stuck in some unused part of the panel. But the future is glass, we all know that. Hat tip to ASF and Landsberg for keeping the world informed on these kinds of important issues. 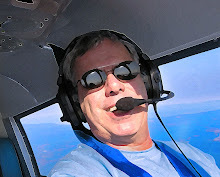 Safety is something we all say we embrace, but in reality, most hamburger chasers spend more time trying to save a nickel a gallon on AvGas then on practicing partial panel flying or simulated engine outs. Our view of safety should not be to simply embrace the concept, but to really hug it with both arms, smothering it with all the strength we can muster. More info on TAA and safety can be found here and here courtesy of AOPA.